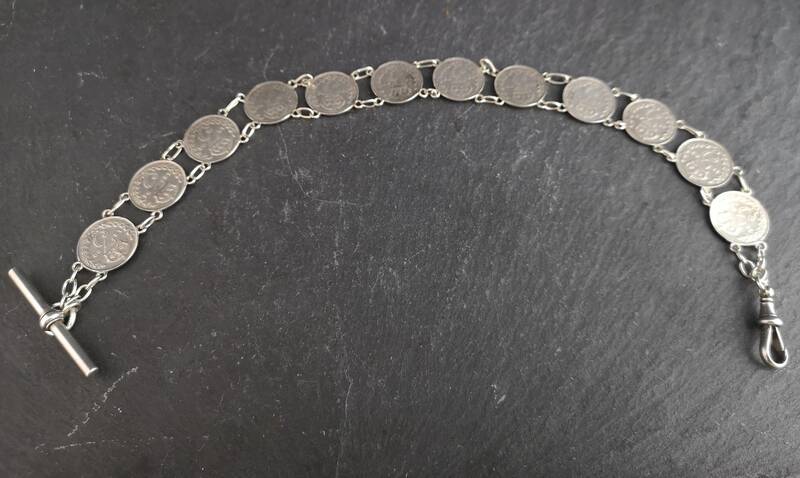 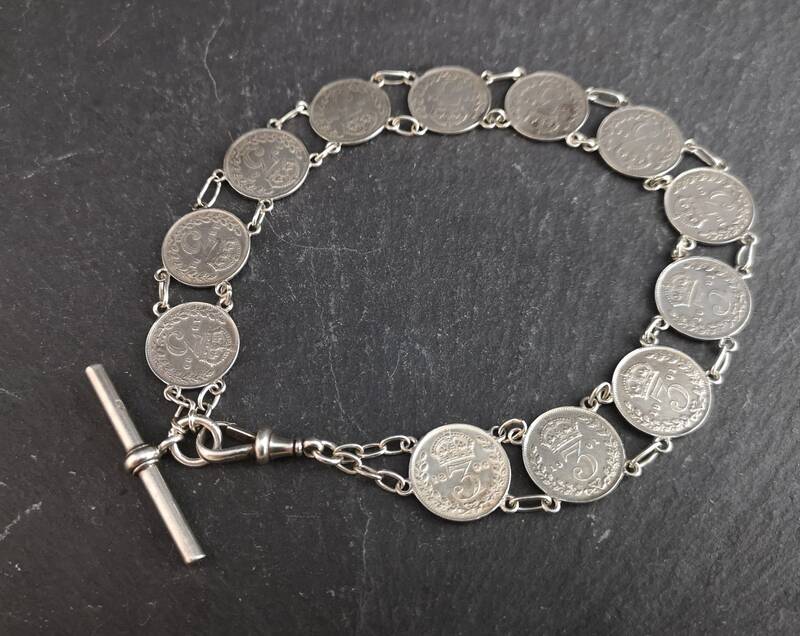 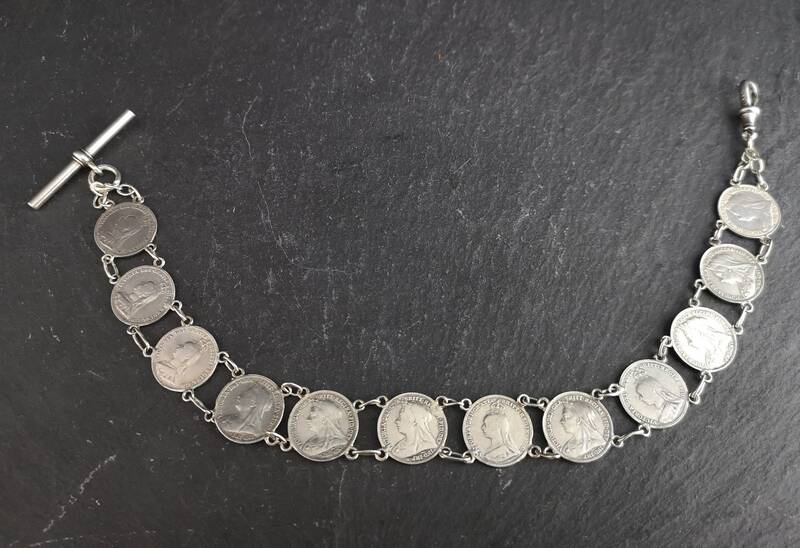 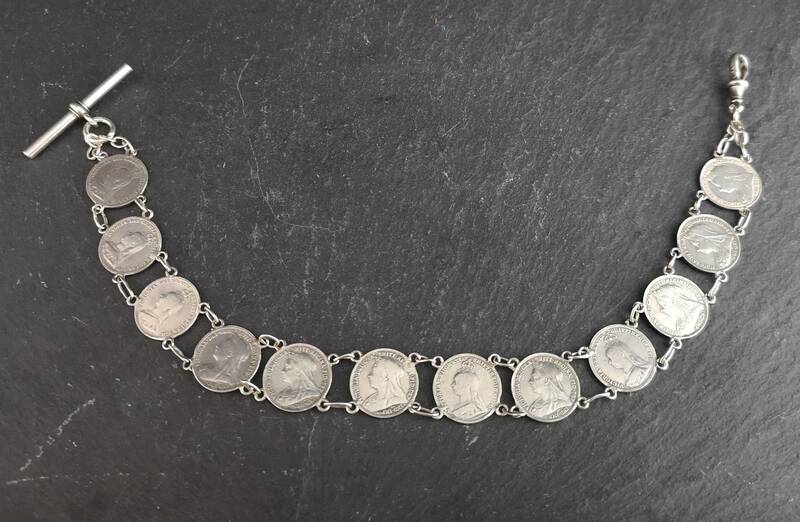 A charming antique silver threepenny Albert chain / bracelet. 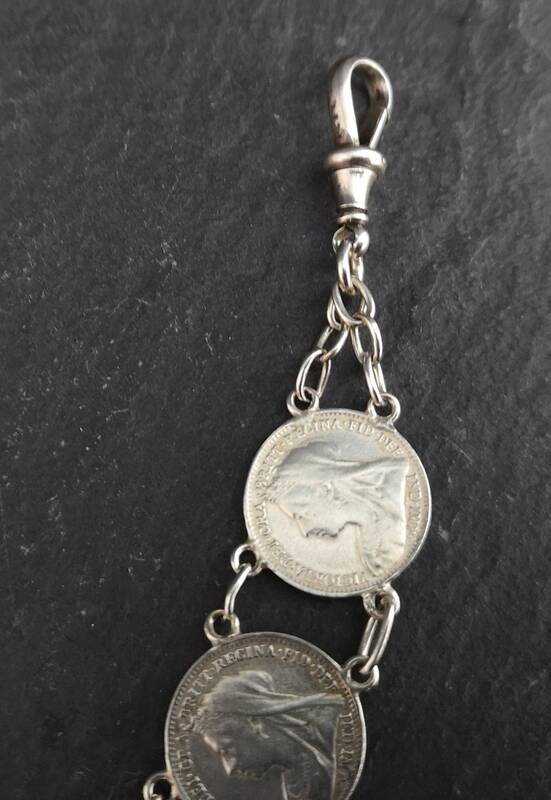 It is made up from Victorian silver threepenny coins adjoined with silver links, it has a dog clip fastener and T bar. 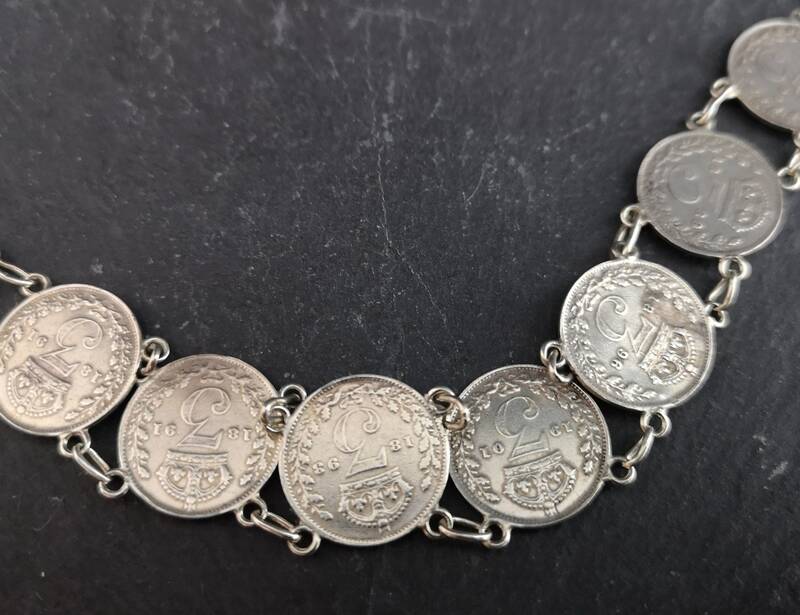 It has been polished to a nice shine. 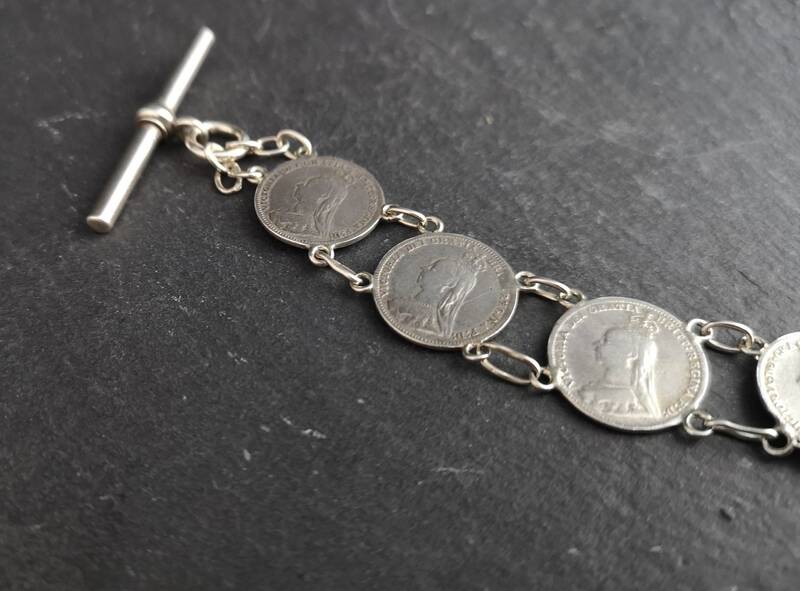 Could be used as a novelty watch chain or a bracelet, suitable for a lady or gent. 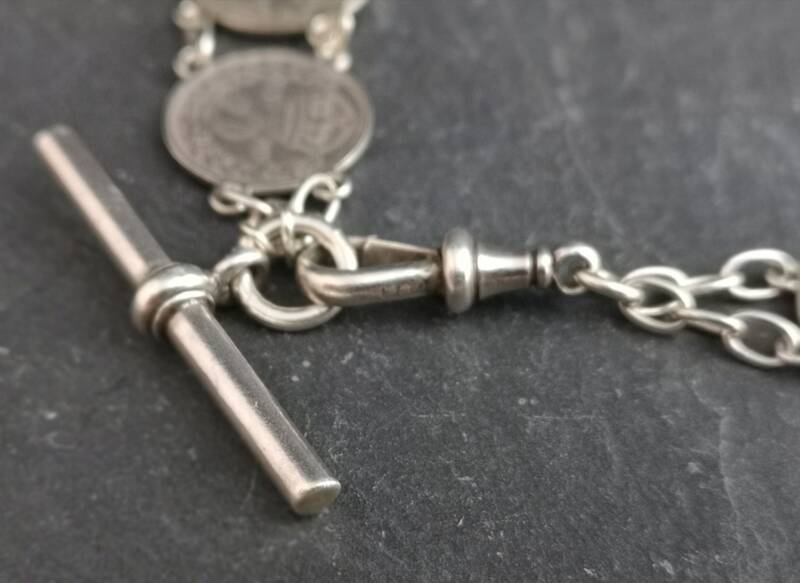 The T bar and dog clip are both stamped with different makers marks. 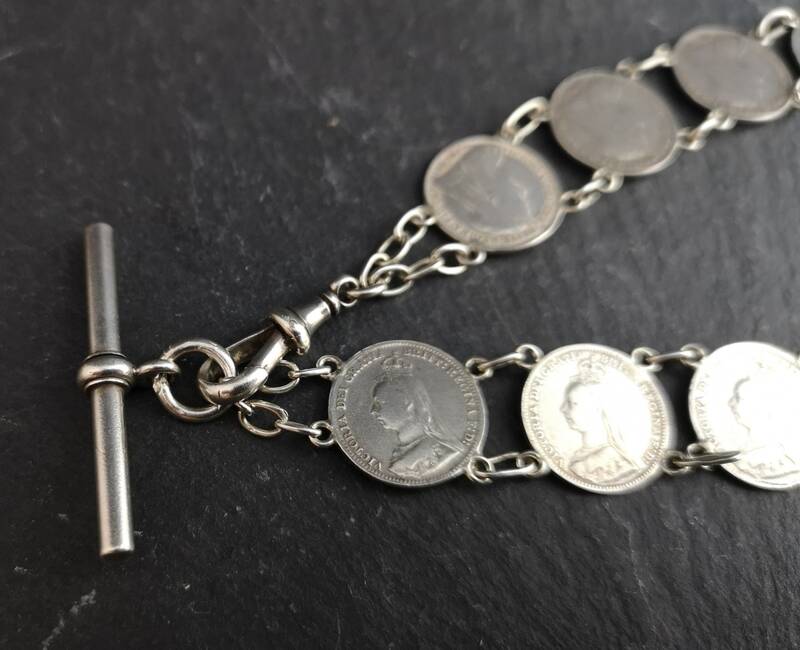 The coins range from 1889 to 1901 and this was made up sometime in the mid to late Edwardian era. 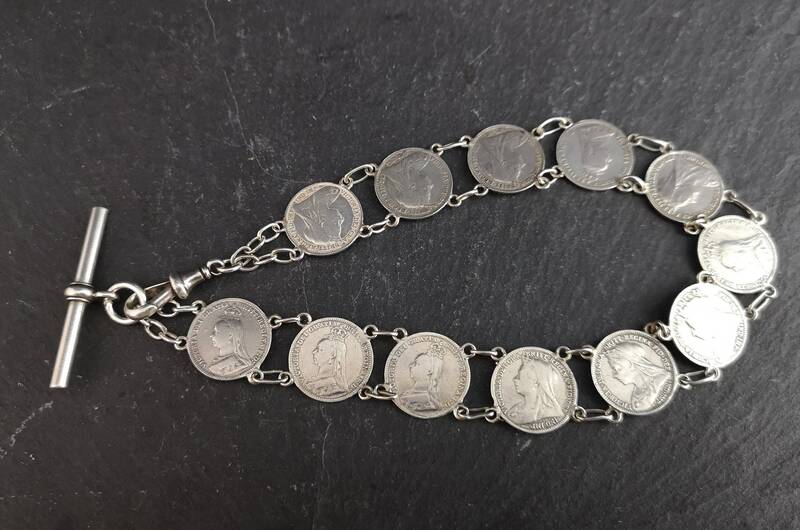 A nice piece in very good condition.